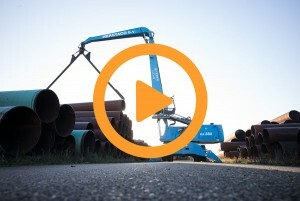 Safe, fast handling of steel pipes and saving on operational costs? The Pipe Grabber ® does it all. 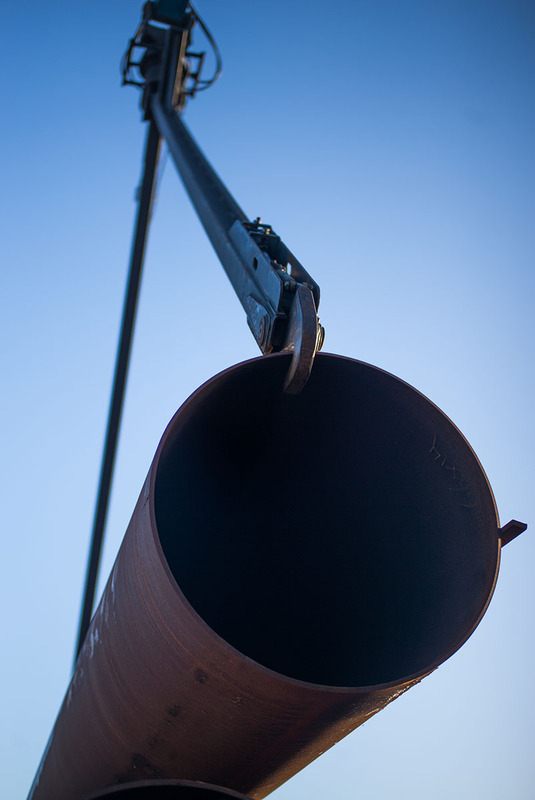 The patented Pipe Grabber ® – an invention of the creative and technical people of Herstaco – makes loading and unloading of steel pipes faster, safer and also provides a significant save on the operational costs. 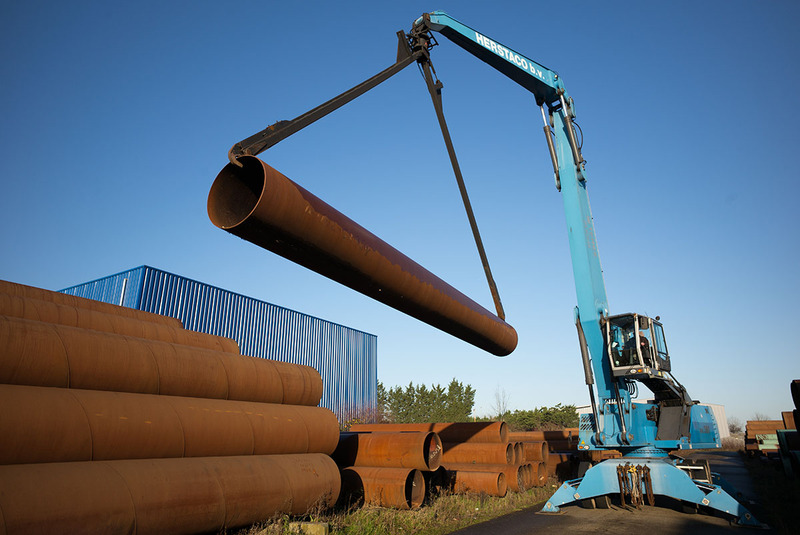 This self-invented innovation handles steel pipes with a length of 6 to 15 meters, a maximum diameter of 2.500 mm and a maximum weight of 15 metric tons. 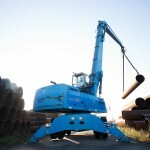 Customization of the Pipe Grabber is possible if required. The secret of the Pipe Grabber lies in the ingenious combination of the legs with a rotator. This powerful combination increases the speed of loading and unloading of steel pipes considerably. The Pipe Grabber ® does not need to be changed to handle different diameters. The steel pipes do not have to picked up exactly in the middle, resulting in time savings and a considerable increase of the daily production. 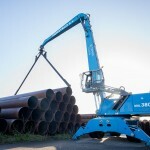 This in contrast to the conventional handling of steel pipes with: hooks and chains, electro magnets, and vacuum clamps. 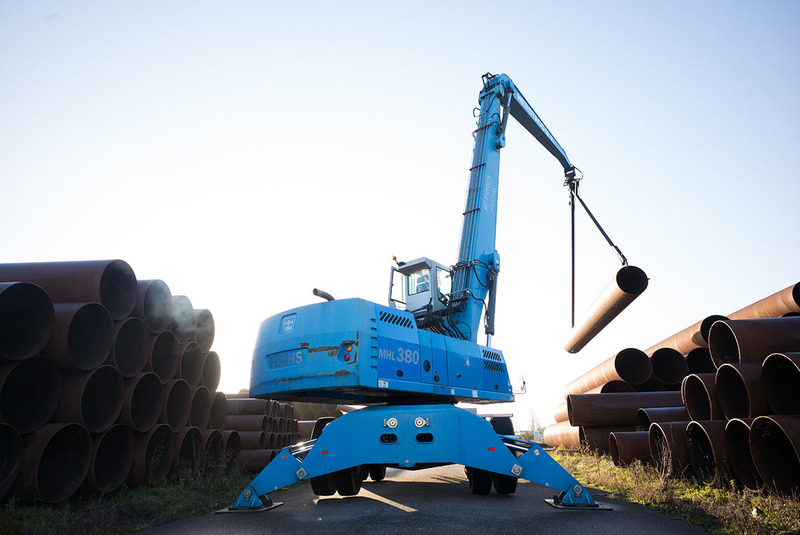 On top of that the Pipe Grabber ® also brings considerable savings in personnel costs and an improvement of the working condition. 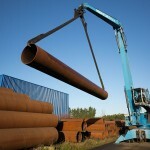 The crane operator handles a freight of steel pipes independently, i.e. without the help of field staff. 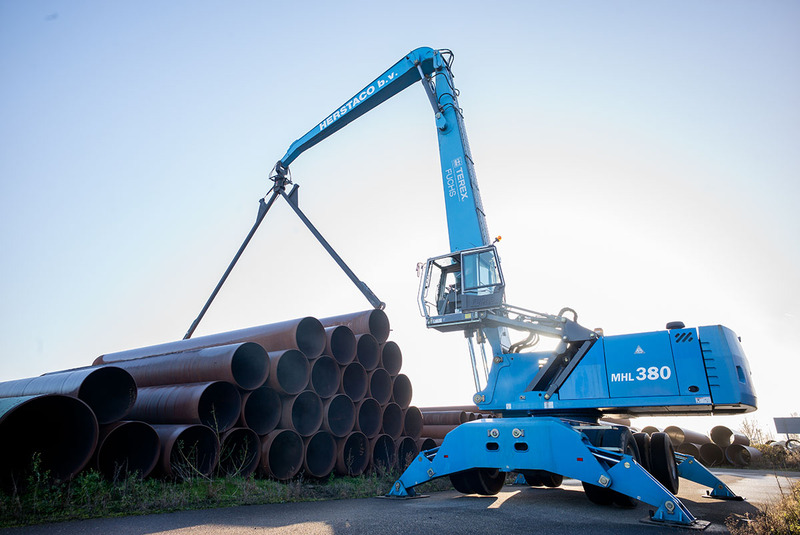 Because field staff is no longer needed during the process of loading and unloading of steel pipes, the work environment gets safe and the working conditions better. 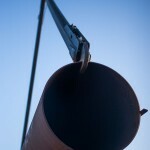 Once a steel pipe is hooked in, it can not fall out of the crane and the field staff does not have to climb over piles of steel pipes anymore, because the crane driver operates independently. This reduces the risk of accidents and other operational risks huge. CO₂ footprints Herstaco B.V. and Herstaco Tube-Welding B.V.
Welding qualifications Herstaco Tube-Welding B.V.